I happen to work for the #1 company for training across the nation and across all industries as reported by Training Magazine for the 4th year in a row! 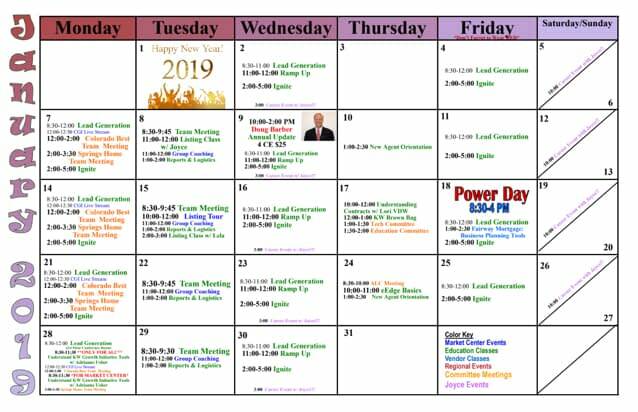 This is our office’s calendar of events. Most of these classes are free and open to any agent in the area, call 719-964-4810 with questions or to RSVP for a class.